There are 12 3-D Printed snowflakes that are hidden around the UWT campus. 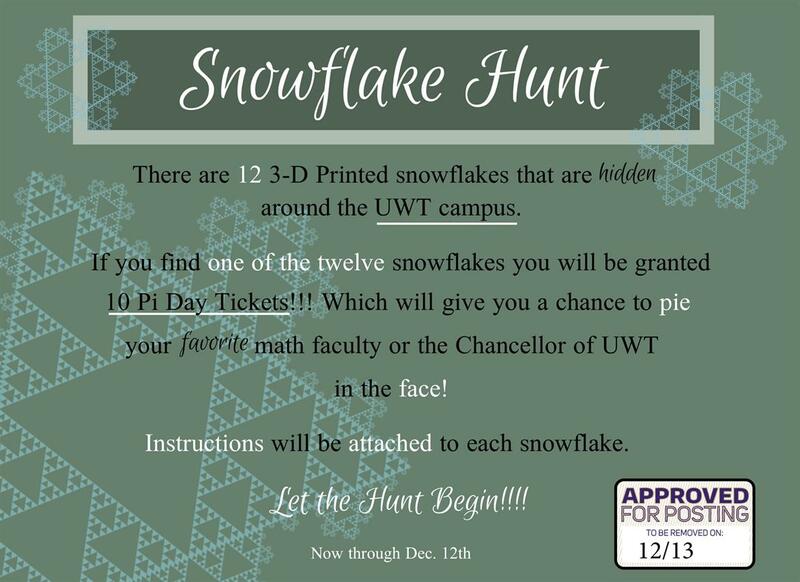 If you find one of the twelve snowflakes you will be granted 10 Pi Day Tickets! Which will give you a chance to pie your favorite math faculty or the Chancellor of UWT in the face! Instructions will be attached to each snowflake. Let The Hunt Begin!